Mining Indaba 2017: Steps Toward a Sustainable Future? P1	P2	P3	P4	P5	P11 What are Natural Resource Charter precepts? 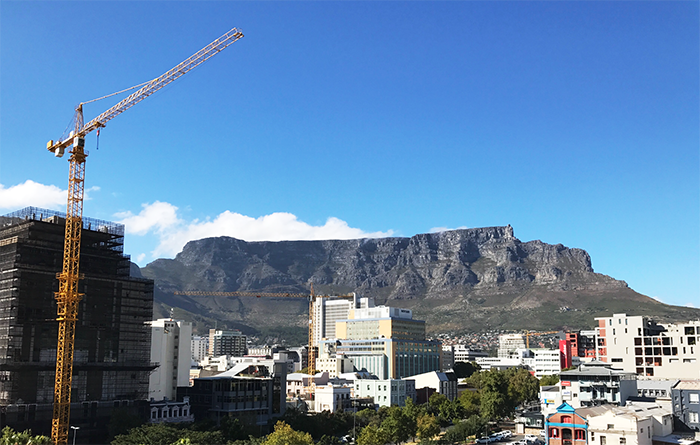 This year’s Mining Indaba, the world’s largest mining investment conference, took place last month and was the usual whir of networking among government and industry power players against the stunning beauty of the Western Cape. But this year the buzz word for multilaterals was sustainability—from the launch of World Bank’s African Mining Legislation Atlas Guiding Template for drafting mining laws; to the African Legal Support Facility’s contract negotiation workshop; to a session on leveraging the African Mining Vision Compact for consensus building on shared benefits from mining between government and private sector; to a series of roundtables on local content, legal reforms, resource-based industrialization and more by the Intergovernmental Forum on Mining, Minerals, Metals and Sustainable Development. Even private sector actors got involved with the International Council on Mining & Metals, the International Finance Corporation and Anglo American co-sponsoring side events on employment creation and the contentious issue of water management. This sustainability preoccupation may be a direct result of policy soul-searching at the end of the heady days of the commodity price boom. The sad realization that countries had failed to benefit from soaring prices and were ill-prepared to manage the fallout from the price crash has sector players asking “what went wrong?” Leaving pessimism aside, countries and donor organizations alike are focusing on improving legal frameworks, negotiating better contracts, and ensuring communities benefit from mining. So, what are the prospects for getting sustainable mining right? A strong legal framework is obviously a good starting point and the World Bank’s new guiding template provides a detailed and comprehensive tool to support legal reform. But the template is not a panacea. Instead, it provides the foundation for vigorous, well-informed debate within a country on optimal policy choices in light of the trade-offs. The Democratic Republic of Congo recently learned the consequences of (perhaps) overly ambitious reforms. Aggressive proposed fiscal terms meant to right the wrongs of the 2002 Mining Code ended up stymying the entire reform process, and important environmental and social reforms were thrown out in the process. These social and environmental elements are not trivial. The demonstration of the World Bank’s MinGov tool at the Indaba indicates that political stability, control of corruption, clear legal rules and predictable tax policy may not be enough to ensure sustainability. While Botswana, long considered an example of good natural resource governance, scores high on these dimensions, it lags in other important areas, such as environmental and social impact mitigation, human health, local supplier development and leveraging infrastructure. So are countries moving in the right direction? NRGI’s upcoming 2017 Resource Governance Index will assess governance in some 80 countries, looking not just at the quality of laws but also implementation of these laws. For countries assessed in both the 2013 edition and the new index, we will have the chance to see whether governance is improving in the countries that need it most. Since the close of the indaba, there are signs that the tide may be turning, at least for industry—heavyweights BHP Billiton and Anglo American have reported sharp increases in profits, at least in part on the back of a recent rebound in commodity prices. But getting the full benefits of rising prices goes well beyond attracting investors. It’s a good sign that participants in a mining investment conference are recognizing that they must talk about more than just investment. Hopefully, this is one small indication that this time around a sustainable future in mining is within reach. Nicola Woodroffe is a legal analyst with the Natural Resource Governance Institute (NRGI).